Make your website mobile-friendly and add quality content. Your website is your “front door,” and must be friendly, engaging, and fresh. Review yours regularly to ensure it doesn’t look too old and consider a noticeable redesign every few years.As far as content goes, think variety. What do your customers want to know? Blog posts, articles, and white papers establish your business as a knowledge leader and a go-to resource. And don’t forget videos: Quality video is a great way to engage your audience and showcase the special way your firm makes customers happy. Leverage social media. If you’re not using social media tools already, focus on a couple of popular social media outlets. If you’re targeting consumers consider Facebook and Twitter, and actively post content on them. If you’re targeting other businesses, LinkedIn may be a better choice. Be sure to designate someone to be your social media manager, make sure they learn how to use the marketing tools of each social outlet, and have them respond promptly to comments. Interact frequently. This applies to all of your online channels, including your website, social media platforms, email, and online review sites. For example, be sure to respond promptly to any queries you receive on your site or via email, and be quick to reply to questions and comments posted on your social media pages. Tie it all together. It’s easy to end up with a hodgepodge of different online marketing tools that are operating independently of one another. Integrate your online marketing initiatives so they all have a similar style and tone. Doing so helps reassure customers that your business is an organized entity focused on delivering a clear message — and quality products or services.When it comes to marketing, you don’t want to swing and miss. Our firm can help you assess the financial impact of your efforts and budget the appropriate amount to boosting visibility. 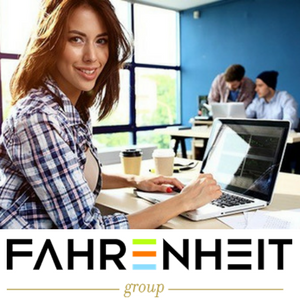 Lud Kimbrough is a Managing Director on The Fahrenheit Group’s Advisory team which is staffed with deep senior-level experience, including corporate finance and operations, executive coaching, strategy development, and transaction management. Please feel free to reach out to Lud, or any member of our team with your advisory and finance needs.